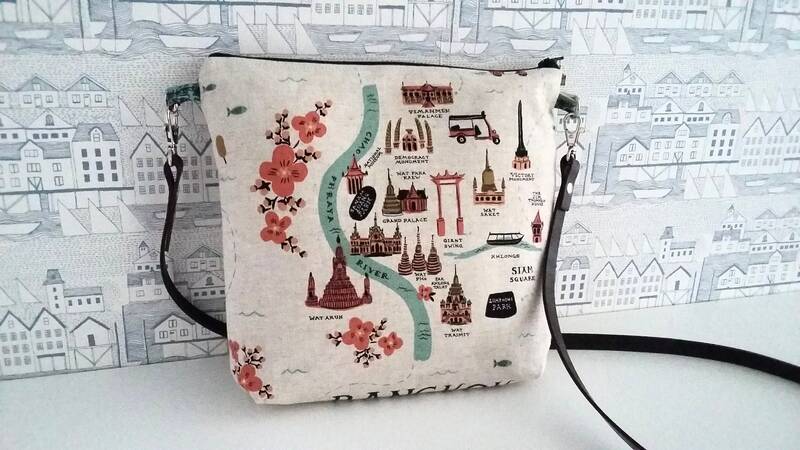 A one of a kind canvas cross body bag perfect for the budding traveller, in this rare City Maps by Rifle Paper Co. 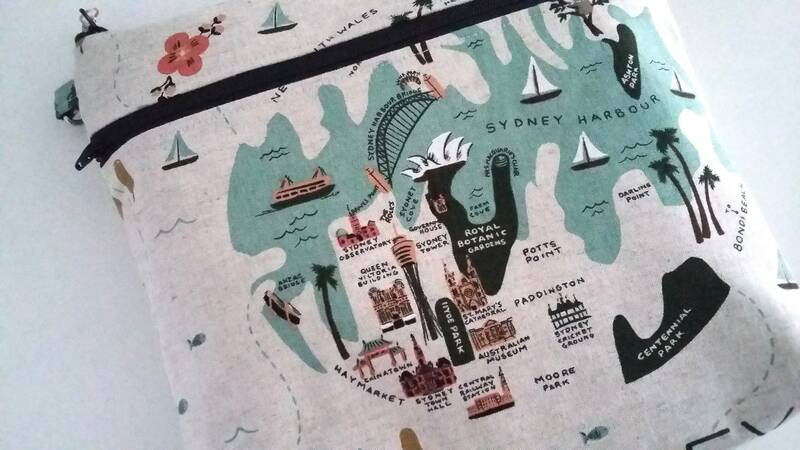 Featuring beautifully depicted streets and sights from the cities of Sydney on the front and Bangkok behind. 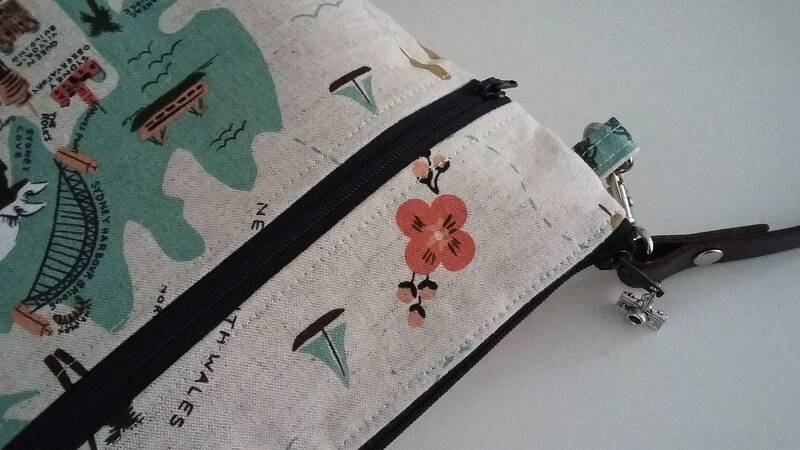 The bag is lined in a teal "Kitty gloves" cotton print. A versatile number for everyday use, you'll love her! 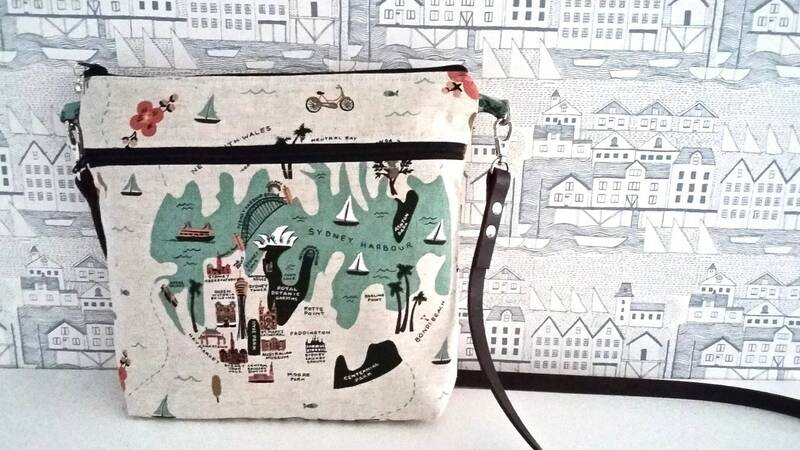 This bag has a casual and lightly padded (not firm) structure, with two layers of woven cotton interfacing for added strength. It has a zip closure with a silver effect camera on the zip pull. 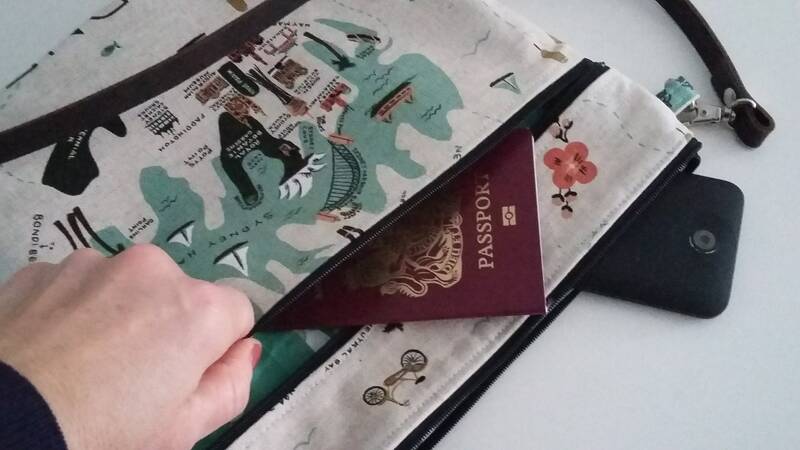 There is a zipped pocket to the front, perfect for keeping items like phone, hand sanitiser, sunglasses and tissues within easy reach. 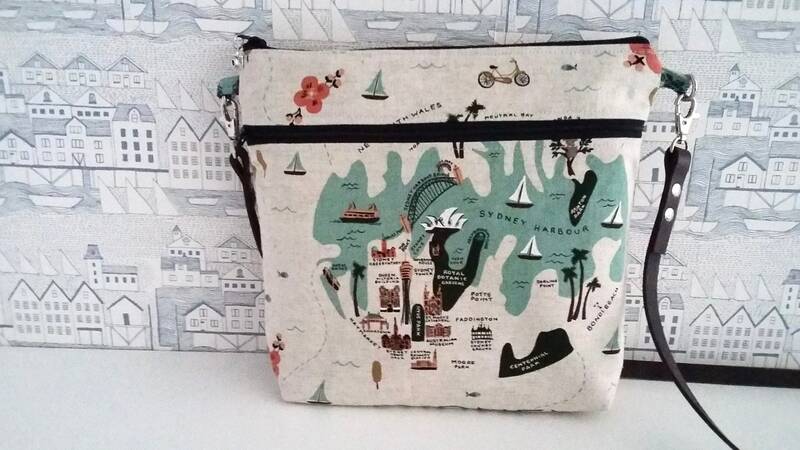 There are two small slip pockets inside for items like lipstick, keys and store cards. The strap is detachable and a fixed length in genuine brown leather, attached via silver rivets and swivel snap hooks. 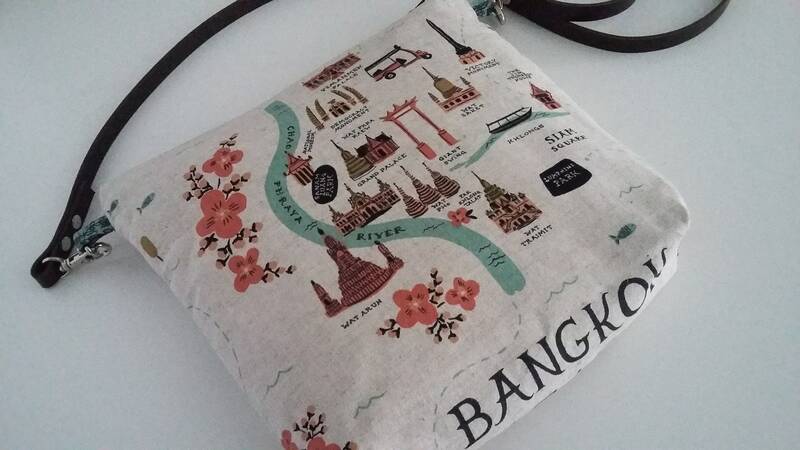 The bag can be worn on the shoulder or cross body style (see example of umbrella bag). Strap measures 48.5" (123cm) in length.